The professionally furnished clubroom at 140 Mayhill. SADDLE BROOK, N.J. – The well-established 140 Mayhill rental community in Saddle Brook offers renters so much more than upscale, well-equipped homes and a convenient Bergen County location just off Route 80. Residents at this collection of 158 one-and two- bedroom homes also enjoy a close-knit, social lifestyle fostered by neighbors who consistently gather in the community’s amenity spaces to participate in a wide variety of activities and annual holiday-themed events. Most recently, “trick or treat” was the theme of the day during the annual Halloween Party in 140 Mayhill’s professionally-furnished clubroom. Scores of festive residents – several dressed in full costume – crowded the state-of-the-art common areas and clubroom which were decorated with a Halloween theme for the special event. High retention rates at 140 Mayhill mean the majority of residents live at the community for an extended period allowing close relationships to be developed over time. Value Companies, the New Jersey Apartment Association’s 2014 Management Company of the Year, has worked diligently to provide an atmosphere that encourages the large amount of social interaction amongst the residents and inspires many to make the community a long time home. 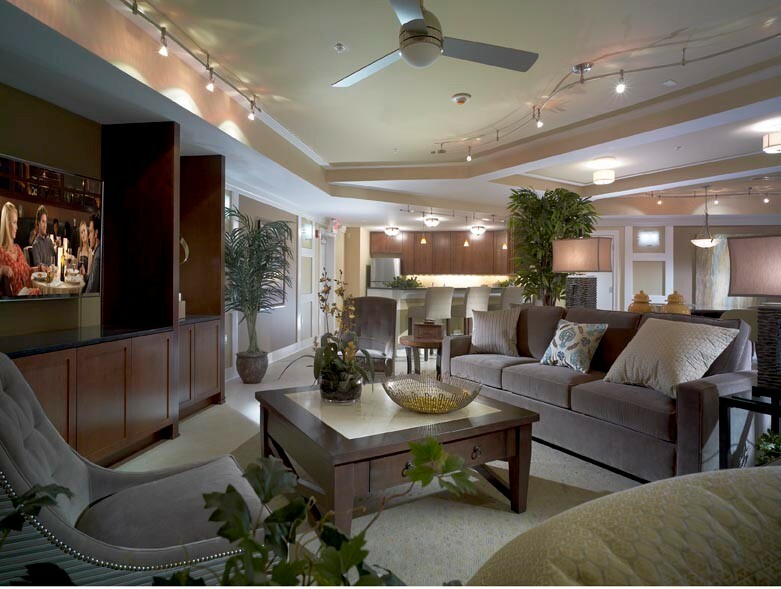 The centerpiece of 140 Mayhill’s well-rounded lifestyle, the clubroom was merchandised by prominent interior design firm Lita Dirks & Co. and includes a catering kitchen for private events and social gatherings, large flat-screen television, Ipod docking stations and ample room for entertaining. There’s also a fully-equipped fitness center which features top-of-the-line fitness machines and free weights, flat-screen TVs and a mirrored stretching room. 140 Mayhill offers luxurious rentals homes ranging in size from 753 square-feet to 1,300 square-feet. Homes come complete with a host of designer features and appointments, including soaring nine-to-11-foot ceilings, elegant three-inch plank hardwood floors, gorgeous French doors leading to the homes’ private balconies, Bosch washers and dryers, spacious walk-in closets with custom-designed shelving, and gourmet kitchens with full GE stainless steel appliance packages, exquisite oak cabinetry, granite kitchen countertops, designer lighting fixtures and designer blinds. Monthly rents for the available homes at 140 Mayhill currently begin from the $1,850. Homes are available for Immediate Occupancy.